*Tap tap tap* Is this thing on? Is this thing even working? Do I even know how to do this anymore? Do I even want to do this? All good questions, with some (hopefully) being answer with this post. Meaning if you can see it, it's on and working. The other questions? Well, who knows at this point. But, if you're seeing this, congrats! You probably had the RSS feed (which may or may not still be working), or some other little service I was using over a year ago is still shooting this out to social media. What brought me back? Am I back? What brought me back is easy. A couple days ago +Blogger released a, well, blog, detailing some new themes: https://blogger.googleblog.com/2017/03/share-your-unique-style-with-new.html. I didn't hate them, and in fact liked one (the one hopefully you see here) and I went poking around, and re-kicking the tires to see if anything else about Blogger had changed. On first glance, nothing else has changed, which is both good and bad. So, about this photo. 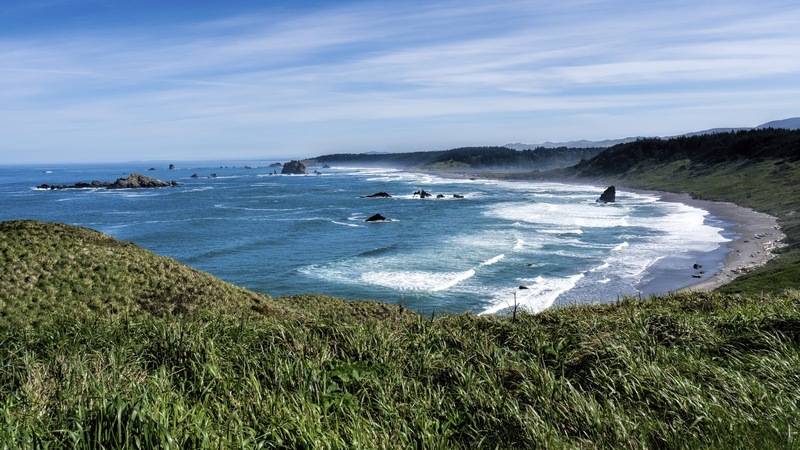 Taken at Cape Blanco, Oregon during a Northern northern California and Southern Oregon day trip. I have a handful of other photos from this trip waiting to be processed and or shared. That's the other thing, I, in a way, re-discovered Lightroom, and the trove of photos I've just been throwing in there and not going back to. I feel there are some good shots, and they should be shared, so maybe I the blog stays active long enough to share them and goes dormant again. Either way, thanks for stopping by!